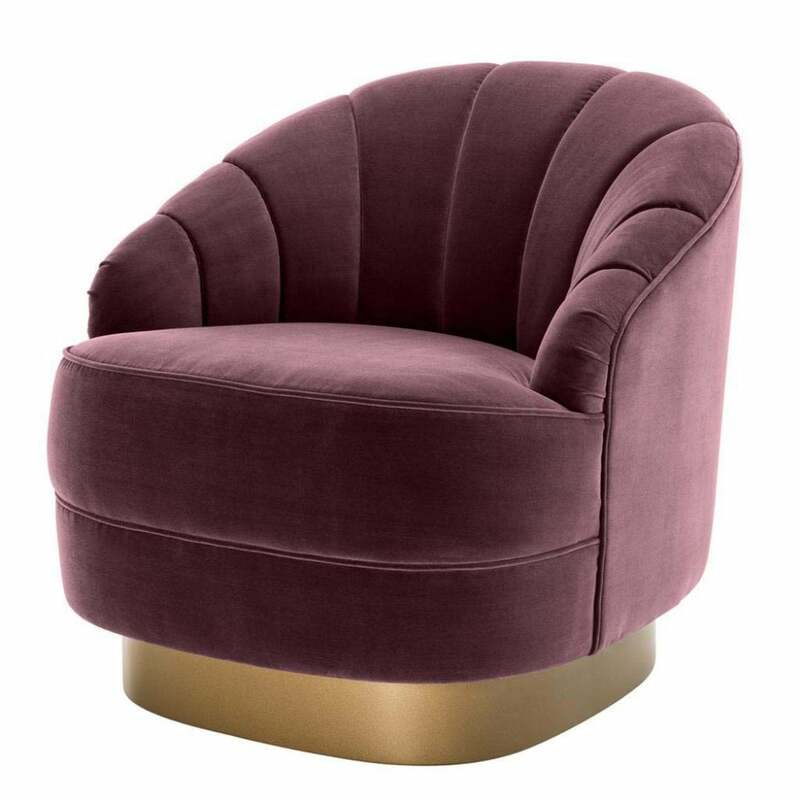 Upholstered in a choice of deep turquoise or vintage purple fabric, the Hadley Chair by Eichholtz is inspired by the elegant designs of the Art Deco era. Complemented by a matte gold base, Hadley is crafted with a plush seat and fan effect backrest that harks back to the golden age of glamour. The curved design is ideal for fitting into corners where a pop of colour and texture is needed to elevate the space. The perfect addition to a contemporary living room or bedroom suite, Hadley looks beautiful paired with rich hues of emerald green, blue and gold. Get in touch with our team for more information and advice.